If anyone held the torch of the ‘woman’s picture’ it was Mala Sinha. She refused to play inconsequential roles opposite the biggest of heroes and willingly acted with smaller names, provided her role was the pivot around which the film evolved. She turned down Ram aur Shyam (1967) opposite Dilip Kumar and acted opposite then-still upcoming actors like Dharmendra (Anpadh (1962)) and Manoj Kumar (Hariyali Aur Rasta (1962)) where she carried these films entirely on her shoulders alone. And it is to her credit that she did have a career as leading lady lasting two decades. She was born Alda Sinha on November 11, 1936. Noticed in a school play, she made her acting debut in a Bengali film Roshanara (1953). She then broke through first making a mark in 1954 with a supporting role in the Suchitra Sen starrer, Dhuli (1954). The same year also saw her make her Hindi debut with Amiya Chakravarty’s Badshah (1954) supporting Usha Kiron, Pradeep Kumar and Ulhas. Though she got other offers like Kishore Sahu’s Hamlet (1954), where, incidentally, she got the only positive review in the film from the hard-to-please Baburao Patel, she was going nowhere with mythologicals like Ekadashi (1955). Geeta Bali, spotting tremendous potential in her, took her under her wing and recommended her to Kidar Sharma, who cast her in Rangeen Raaten (1956) and groomed and polished her as well. 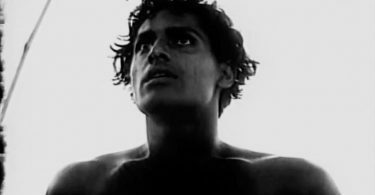 Mala became a star with Guru Dutt’s Pyaasa (1957). Guru Dutt’s masterpiece of a struggling poet in a materialistic world saw an extremely competent performance from Mala, in a role that originally Madhubala was to play, as Guru Dutt’s college sweetheart who marries a big publishing baron opting for material comfort over love. It is generally rumored that her role was based on Guru Dutt’s acquaintance, Sushila Rani Patel. Though having negative shades, Mala’s role is frankly the more interesting role in the film as compared to Waheeda Rehman’s standard prostitute-with-the-heart-of-gold role and ranks as one of her best ever performances. Mala’s ascending star status was confirmed as she was paired with Raj Kapoor in three films – Parvarish (1958), Phir Subah Hogi (1958) and Main Nashe Mein Hoon (1959). Of these special mention must be made of Phir Subah Hogi, an emotional plea for social justice in ‘Nehruite’ India and is a fine example of political comment combined with humanitarian compassion. 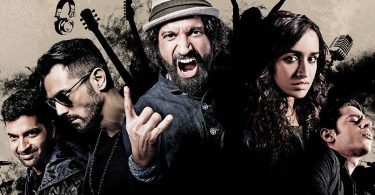 Mala kept one foot in the Bengali film industry as well. She did big films opposite Uttam Kumar – Prithibi Amara Chhaye (1957), known for the evergreen Geeta Dutt song Nishi Raat Banka Chand, Bondhu (1958), Shaharer Itikatha (1960) and Sathihara (1961) besides Lookochuri (1958), opposite Kishore Kumar, one of the most popular Bengali films ever and regarded as arguably the greatest comedy in the history of Bengali mainstream cinema. It is said that whenever in the 1980s and early 1990s the film was telecast on TV, the Kolkata streets were empty! Mala became an A-grade star with Yash Chopra’s directorial debut, Dhool ka Phool (1959) playing an unwed mother who abandons her child. It also set her on the path to playing central, suffering women roles. By now one was noticing a tendency in her to obviously ‘act’ leading to some extremely melodramatic acting from her. In fact, even in Pyaasa, the make up person Baburao recalled Guru Dutt constantly telling her to tone down her performance and to feel it from within! Still, she did come up with credible performances in Yash Chopra’s Dharamputra (1961), again playing an unwed mother, a Muslim, whose child is brought up by a Hindu family only to go grow up into a Hindu fanatic, Anpadh (1962), BR Chopra’s Gumrah (1963), arguably her career’s most reined-in and career-best performance, Bahurani (1963) and Jahan Ara (1964), a costly misfire at the box office,e in spite of fine work by her and a brilliant musical score by Madan Mohan. But if she were not controlled properly, the results could be disastrous. She was plain irritating in Himalay Ki God Mein (1965) and laughably over the top in Guru Dutt’s last offering, Baharen Phir Bhi Aayengi (1966). As she goes insane and simultaneously has a heart attack in the film’s climax, Mala has enough elements to play with to go totally haywire thus resulting in some of the worst overacting ever seen in Indian cinema. Still, though well into her 30s, a dreaded age period for Hindi film heroines, she continued with leading roles into the 1970s pairing with the younger lot of heroes – Premendra (Holi Aayee Re (1970), Sanjeev Kumar (Kangan (1971)), Rajesh Khanna (Maryada (1971)) and Amitabh Bachchan (Sanjog (1971)) but by now her career as a leading lady was in its last stages. Meanwhile, she had done a Nepali film, Maitighar (1966), opposite Nepali actor CP Lohani whom she married. The couple had a daughter, Pratibha. Mala then made the switch to elderly and mother roles from the mid 1970s onwards. However all the roles she essayed in this period were largely undemanding ones that she did efficiently enough with her most memorable film in this period being Zindagi (1976) co-starring Sanjeev Kumar. She continued to be seen on the screen on and off with her last appearances being in Rakesh Roshan’s Khel (1992) and Pran Mehra’s Zid (1994). Today, Mala, a re-discovered Christian, lives contentedly in retirement. Daughter Pratibha did try an acting career in Bollywood in the 1990s but couldn’t make much headway. 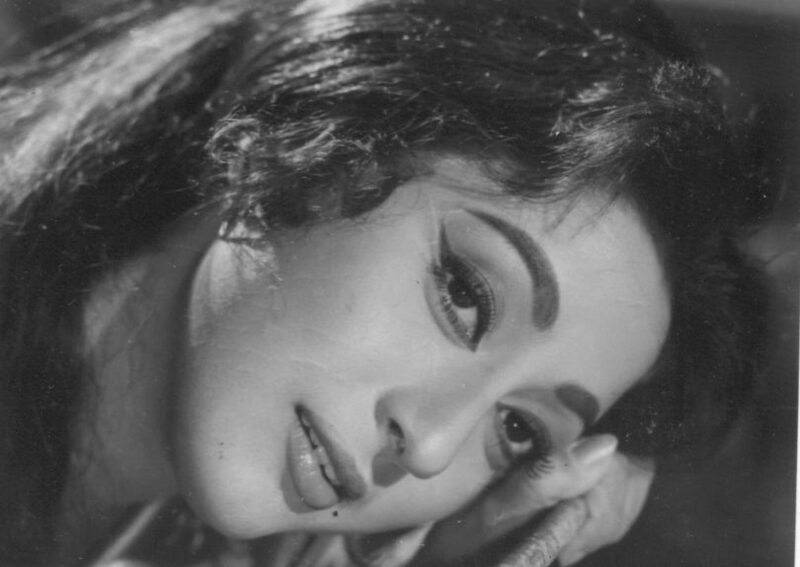 Other well-known films of Mala Sinha include Detective (1958), Chandan (1958), Ujala (1959), Love Marriage (1959), Patang (1960), Maya (1961), Gyarah Hazar Ladkiyan (1962), Dil Tera Deewana (1962), Apne Hue Paraye (1964), Mere Huzoor (1968), Geet (1970) and Lalkar (1972).